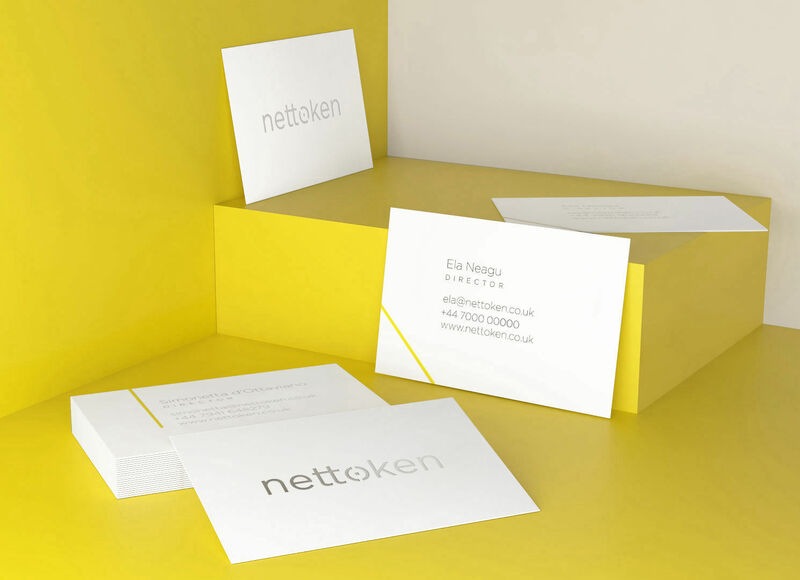 Nettoken is a service which shows you a complete overview of all your online accounts. This lets people keep track of their online identity and manage them, by becoming the one control panel for all your accounts. 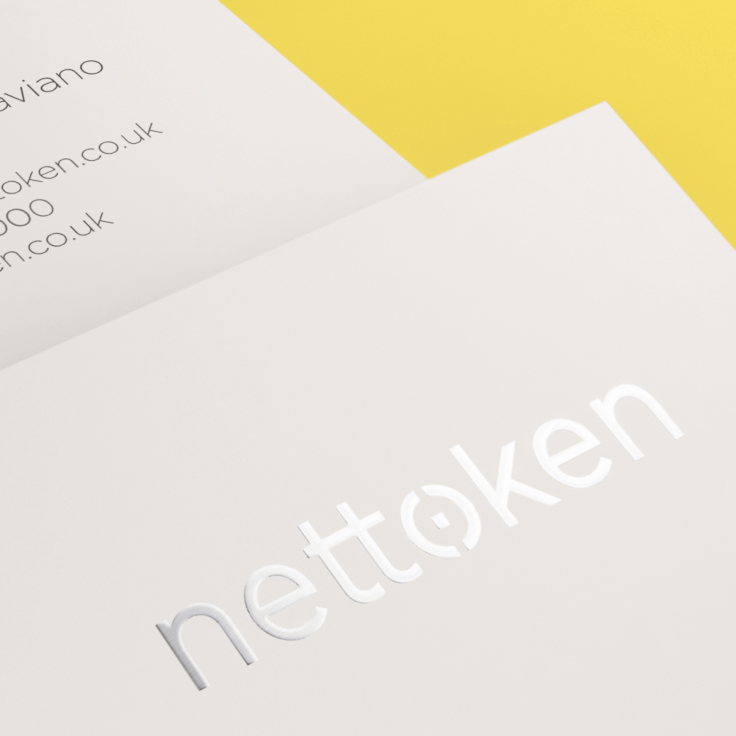 Nettoken are the first to explore this market with a novel digital self managing overview platform. The logotype is based on a sans-serif geometric typeface for a clear and straightforward tone of voice. The design and movement of the letter "o" is suggestive for safe deposit ciphers. Traditional 4-digit PIN numbers have 10000 variations, but the passmove that this software uses has over 64000. 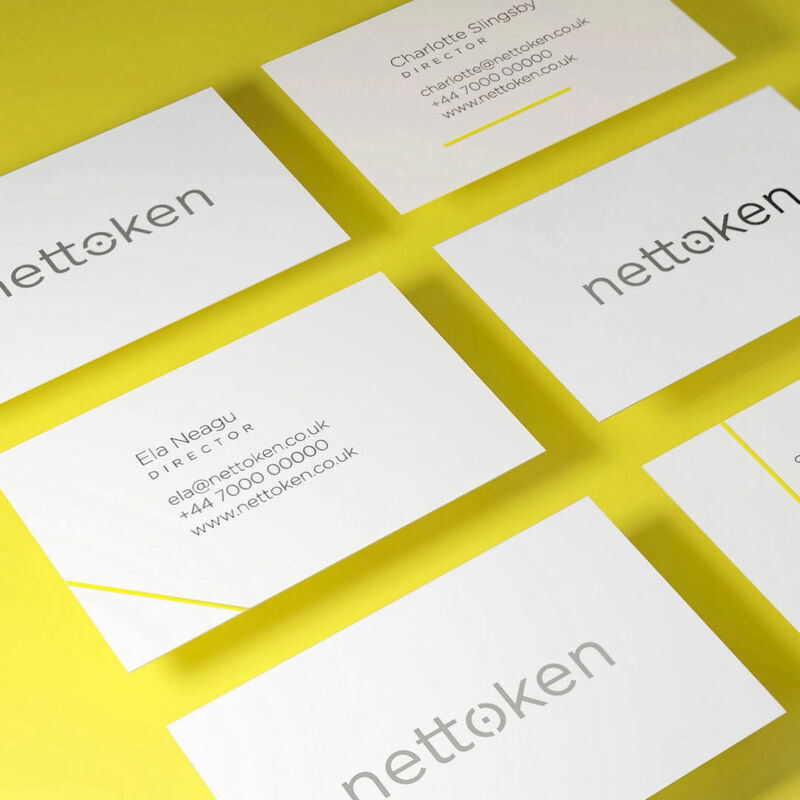 Every movement of the "o" is reinforced on the back of the business cards with a yellow line. The silver logo combined with a touch of yellow expresses the reliability as well as the inventiveness and creativity. It's fresh, clean and quirky in the same time.